I started off which a bunch of herbs, spices, oats, flax and flour. 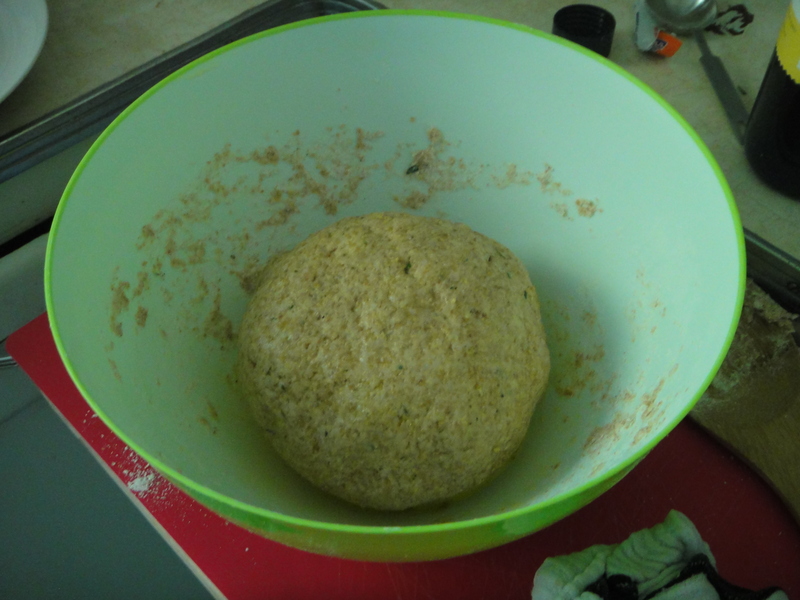 Here’s the ball of dough before it has risen. I took this beauty outside with me on Friday afternoon and did homework in the sun for an hour, where it doubled in size! I took a chunk and rolled it out. Next, I popped it into a hot castiron pan. Then I flipped it over to a nice brown crust. 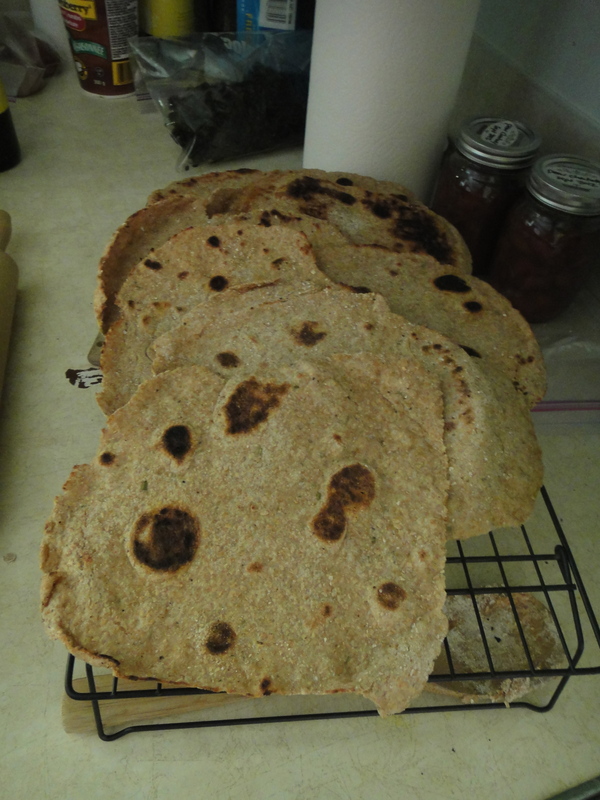 This recipe made about 8 medium sized flat breads. In a medium bowl, whisk together flour, yeast, oats, flax, herbs, sugar, salt and pepper. Create a well in the center of the dry ingredients and add the hot water. 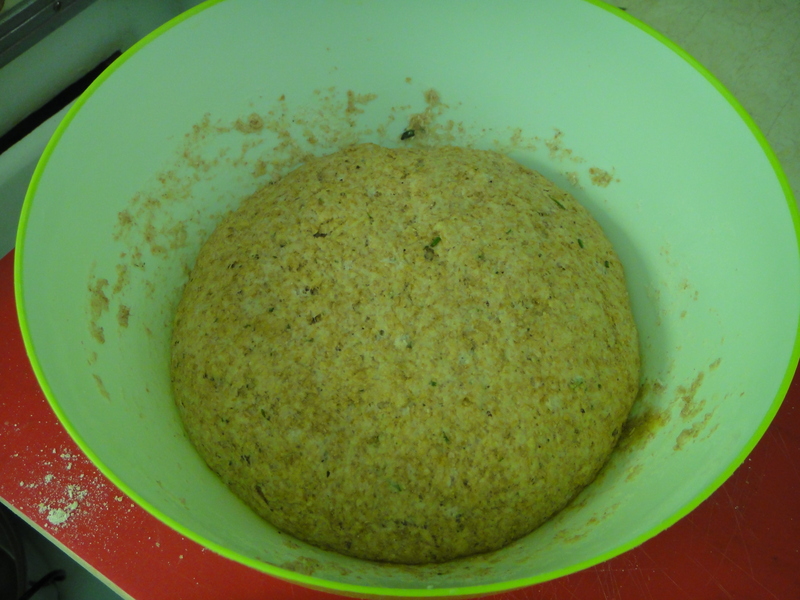 Bring mixture together with a fork, until all of the flour bits are moistened, and the dough is shaggy. Dump out onto a lightly floured work surface and knead a few times to bring together. Coat the medium bowl with a teaspoon of olive oil and place dough ball in bowl. 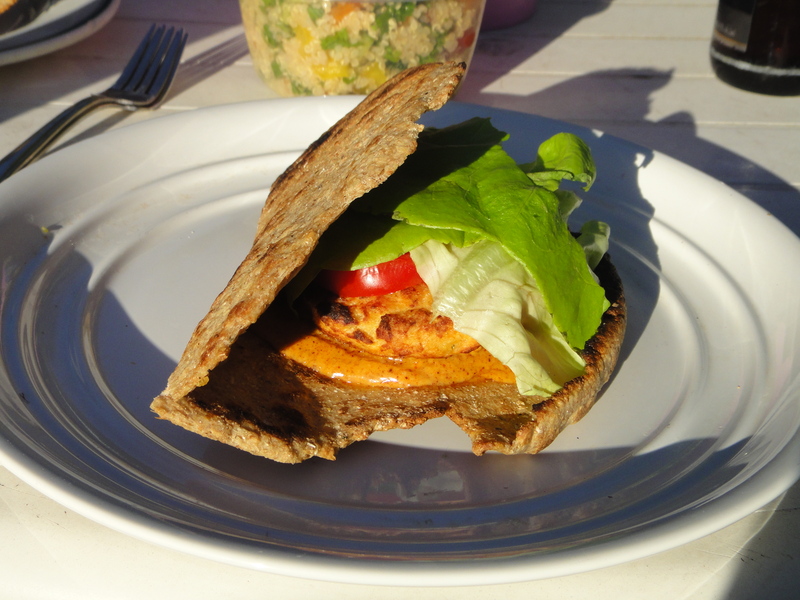 Cover with plastic wrap and a kitchen towel and allow to rise in a warm place for 1 hour. Dough will double in size. 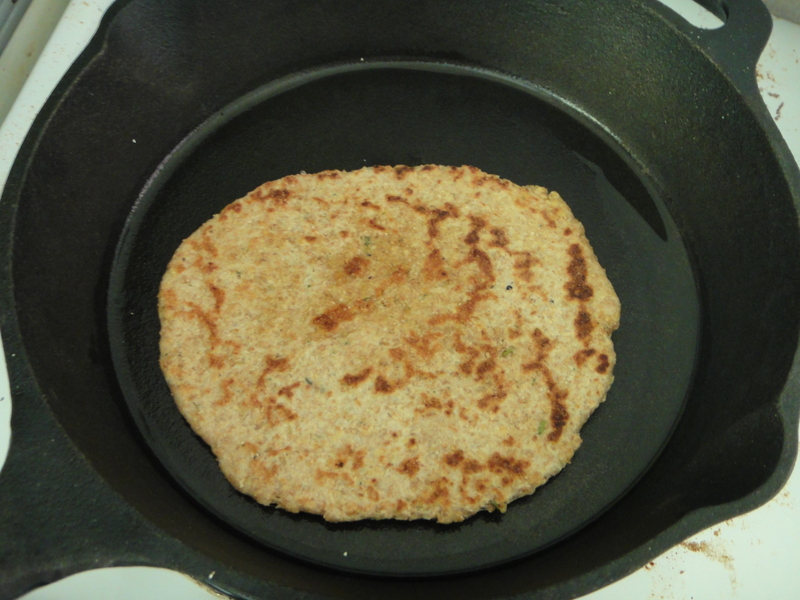 When dough has rested and risen, dump out onto a lightly floured work surface. Divide the dough in half, then divide each half into six equal pieces. Heat a non stick pan (I used my cast iron) over medium heat. 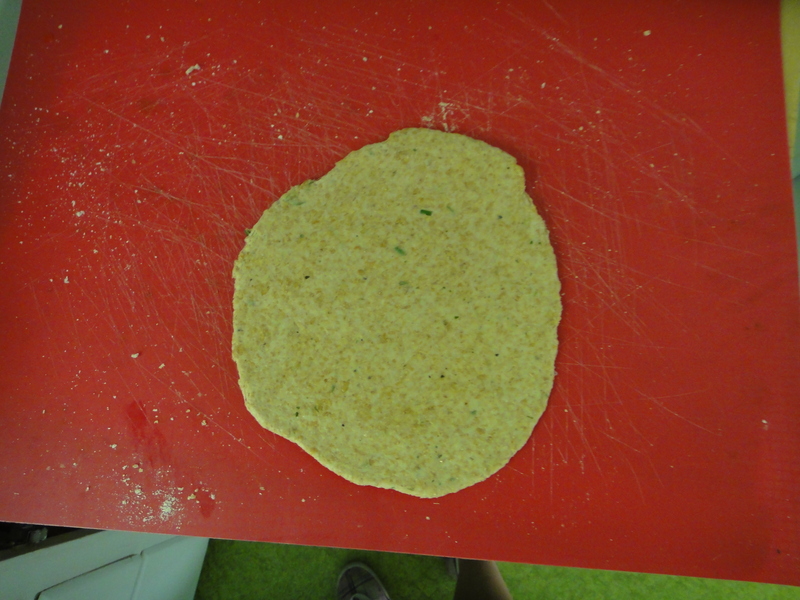 On a lightly floured work surface, roll out each dough piece until thin. 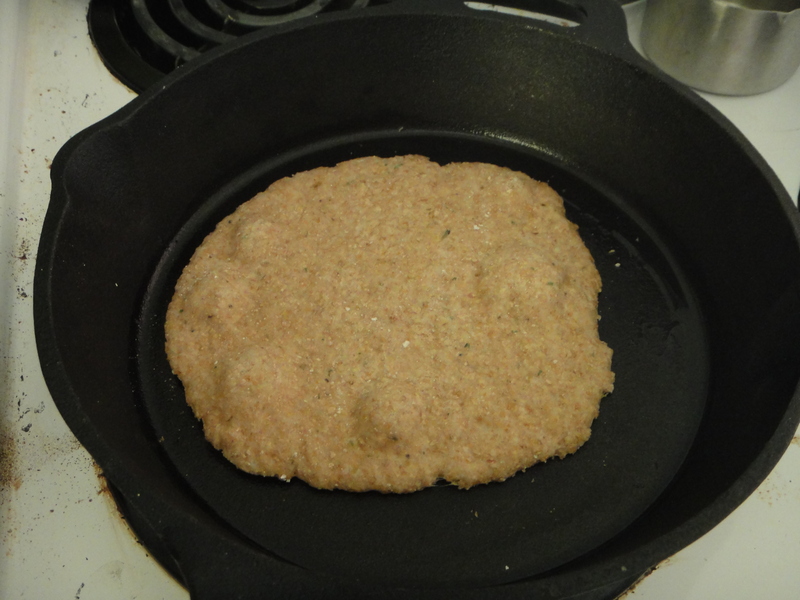 Place dough round in the ungreased, hot pan. Cook on one side for 1 to 2 minutes, until browned on the bottom and slightly puffed. Flip and cook for another 1 or 2 minutes. Remove from pan and serve warm. Enjoy! Where did you happen to get your flour from?